Articles How Can Boxers Learn from Muhammad Ali? How Can Boxers Learn from Muhammad Ali? Friday 3rd June 2016 was a sad day for Boxing, sport and mankind as the great Muhammad Ali passed away aged 74 years old. 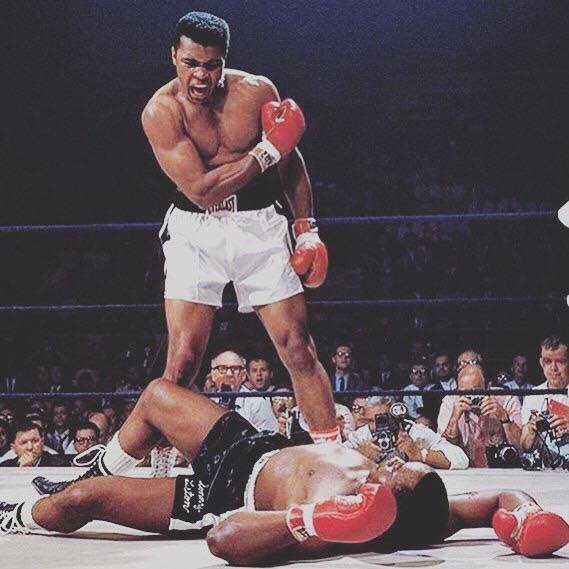 The three-time heavyweight world champion, Olympic gold medalist and much proclaimed greatest boxer of all-time became much bigger than the sport. He was an iconic figure that inspired millions and his words of wisdom will be forever remembered and repeated. In this special article, Boxing Science will pay tribute to Ali by reflecting on some of his famous quotes, and make interpretations so boxers, coaches and sport science practitioners can learn to inspire their own careers. Boxing is a unique sport that requires weeks and months of training for such a short competition, with most professional boxers competing less than 6 times per year. In this quote, Ali highlights the fact that it takes more than just one great performance on the night to be successful. The result of a boxing match is determined in your training camp, requiring hard work and the correct preparation to win the fight. But preparation is not just training hard. You need to prepare in many different ways, from something as big as a periodised training program to a small, everyday activity such as packing your recovery drink in your gym bag. The things you have to do be prepared can be very easy to do by yourself or make sure you have a solid team around you. All of these factors take zero talent, so there are no excuses for having poor preparation. Motivation Dips – Commitment Remains Consistent! Muhammad Ali’s quotes are often used to increase Motivation. Motivation is a really complexed subject that is difficult to train, increase and maintain. Athletes have different goals and aspirations, and some are more motivated than others to reach them. Ever lose motivation sometimes? Get the feeling of ‘Can’t be bothered today’? or even wanting to quit? Don’t worry, this is a natural occurrence that even the best suffer from dips in motivation. We can’t control this, however, we can control our commitment. Commitment is what keeps you moving when you have a dip in your motivation. You show grit and determination to keep working towards your goal. If commitment dips with motivation, it will set you back. Remain committed whilst your motivation dips, then you will reach your goals. Since Muhammad Ali’s time as a boxer, sport science has been introduced and boxing training has progressed significantly, so reading this quote shouldn’t inspire boxers to do thousands of sit-ups until exhaustion. However, we can make interpretations from this Ali quote to apply to different training methods. At Boxing Science, we are a big believer in optimal training targeting specific adaptations for strength, speed and fitness. For these improvements in fitness to take place, we have to push the body to achieve adequate stress to induce physical adaptations. Different adaptations require appropriate volumes amd intensities, as well as clever programming to push the body and help it recover. If these aren’t put in place, we could risk training in no man’s land and not achieving optimal results. We only have a short time frame to prepare for fights, so it’s imperative to get the most out of each session. So, don’t be doing the sit-ups like Ali, but certainly make your training count. Muhammad Ali displayed huge amounts of Confidence throughout his boxing career, claiming he was “The Greatest” following his first world title fight. Ali is known as one of the greatest sportsmen ever lived due to his flair, skill and character. But why was he so confident? A lot of this was showmanship, but what he displayed was Self-Belief. Self-belief is how confident you are of your skills, abilities and behaviours. This can positively improve sports performance, especially in boxing. How can we develop self-belief? Here are 4 easy steps to develop your self-belief and raise your confidence. Start thinking about what you CAN do, rather than the things we can’t. You CAN beat your next opponent, rather than you CAN’T win the world title. Everything takes time, focus on achieving your next step and having a positive outlook. Goal setting is important for motivation and to evaluate our progress. You can develop confidence and self-belief when achieving short- and long-term goals. Click here to find out more about Goal Setting. Remember, preparation takes no talent and is dependent on you. Write down positive attributes, behaviours and achievements on a whiteboard or piece of paper to read weekly or even daily. These reminders can help us recollect positive experiences, improve self-belief and make you feel awesome. This is something we have been keen on at Boxing Science pre-competition. Boxer, coach, promoter, manager, journalist, cameraman, physio, S&C coach, fan, or not even that interested in boxing. You will know Muhammad Ali, what he stood for, and the massive impact he had on boxing and the world.